Data backup is essential to the survival of a business. 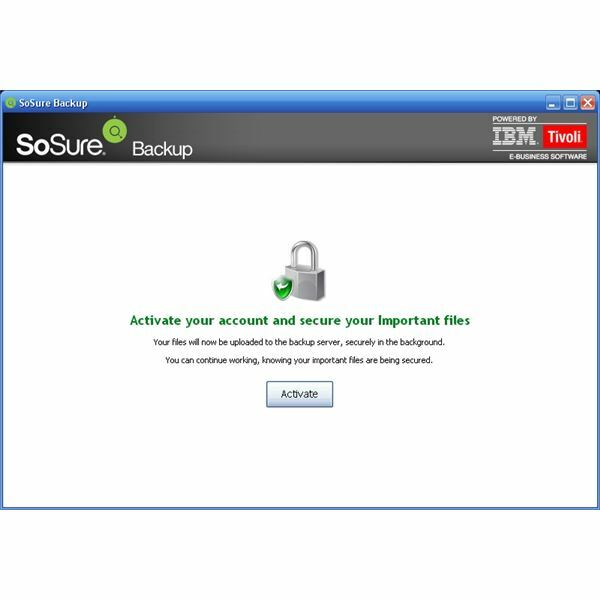 In today's world, there are many backup solutions, both offline and online. An argument can be made for both methods but SoSure is convinced that online is the way to go. Why? Well for one, they have partnered with IBM (the name speaks for itself) which manages the SoSure hosting center and uses tried and tested IBM backup technologies. It goes without saying (but I'm going to anyway) that an online backup solution is consequently off-site meaning your data is safely stored in a remote location. However, given the online nature of this system, your data is easily accessible via an internet connection. So let's take a more detailed look at what SoSure has to offer. 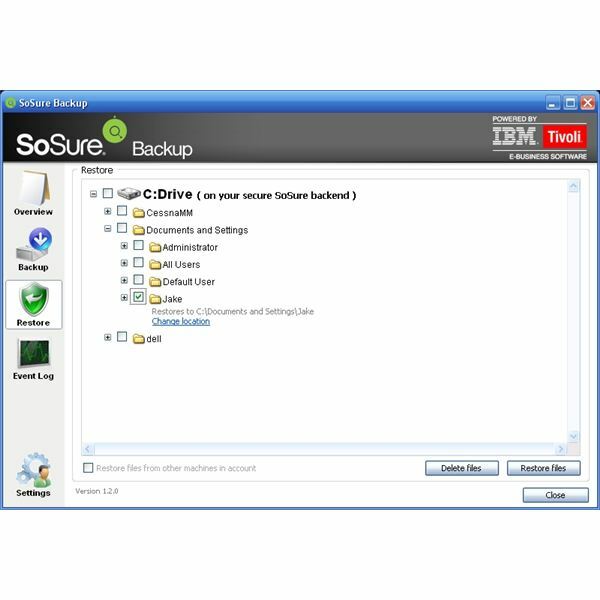 SoSure boasts a three-click installation on their "tour" which can be found at https://www.sosure.com/business/tour. The installation was very simple. The initial step is to download the installation file. I simply ran it straight from the SoSure website. I was then asked if I was an existing user or a new user. I of course chose New User which took me to an activation page where I filled out some basic information such as my email address and created an account password. The client installation then finished as quickly as it began and I was taken to the data backup selection screen (covered in more detail under Features). The trial installation is good for 30 days and includes 3GB of server space. The Overview section shows details of current activity (whether that be backup or restore), Quick Start options, and your account information. The Backup section is where all the action happens. This is where different data categories can be selected for backup (i.e. Microsoft Office Files, My Documents, Pictures and videos, Music, and so on). Specific files and folders can be selected and customer file types can be added as well. The Restore section is where restoration happens (thank you Captain Obvious!). The neat thing about this section is the Timeline Browser which allows you to select a specific restore point in the past for specific files or folders, enabling you to restore previous versions. The Event Log section gives a detailed account of each file that was backed up or restored along with a corresponding timestamp. 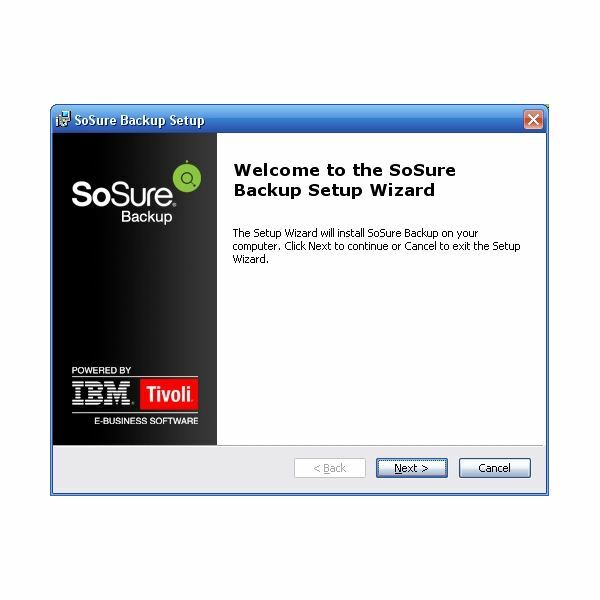 SoSure is powered by IBM's Tivoli business software. Tivoli is a system framework that allows management of large numbers of remote locations or devices according to the all-knowing oracle, Wikipedia. IBM servers and server technologies like fault tolerance (hardware clustering and software mirroring) and incremental backups (after the initial full backup is performed) are all used. Data transfer takes place using 128bit SSL encryption practices. Performance was surprisingly smooth. 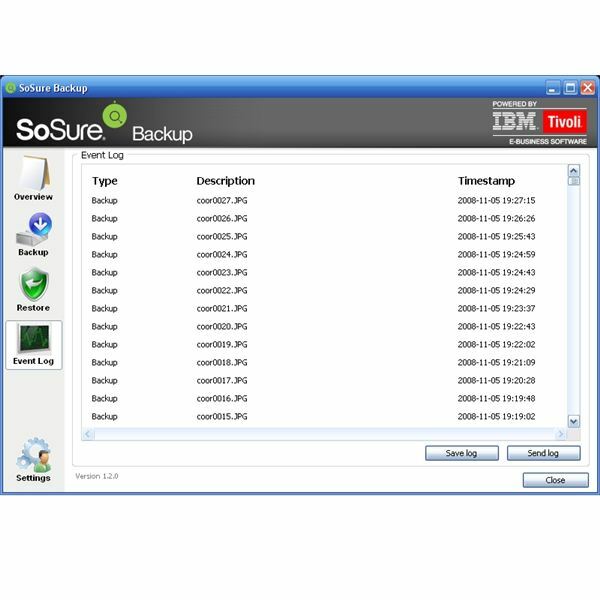 SoSure processes run continuously in the background of your system, searching for file updates and subsequently backing up those updated files. 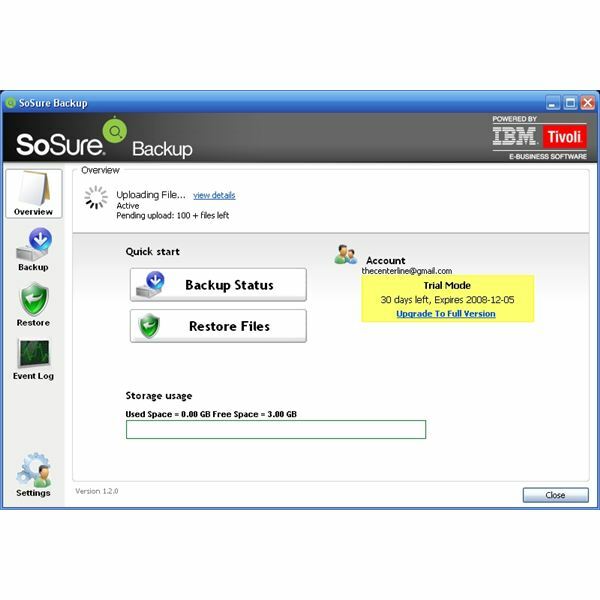 This "real-time" backup ensures that your backup is always current. 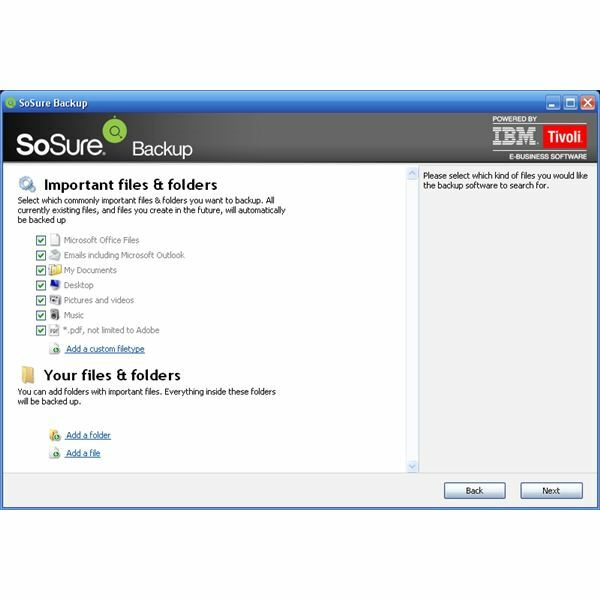 According to SoSure representative Kimberly Kozachik, "SoSure has worked together with IBM to develop the program in a way that will not take up too much bandwidth and system usage. Limits have been set so only a maximum percentage of resources can be used, ensuring that the machine does not slow down and there is not an excessive amount of bandwidth being used when backing up." I never noticed any system performance lag during or after the initial backup. Restore performance was a breeze as well. Given the above pricing, this would mean that a one year license for 3GB of space would run $124.20 all the way up to $9,384 for 500GB of space. In my opinion this is an excellent value for online, encrypted storage managed in an IBM hosting centre. Current pricing can be obtained here. Given the increasing need for secure data backup options, I believe we'll begin to see more and more companies begin to offer online backup services. 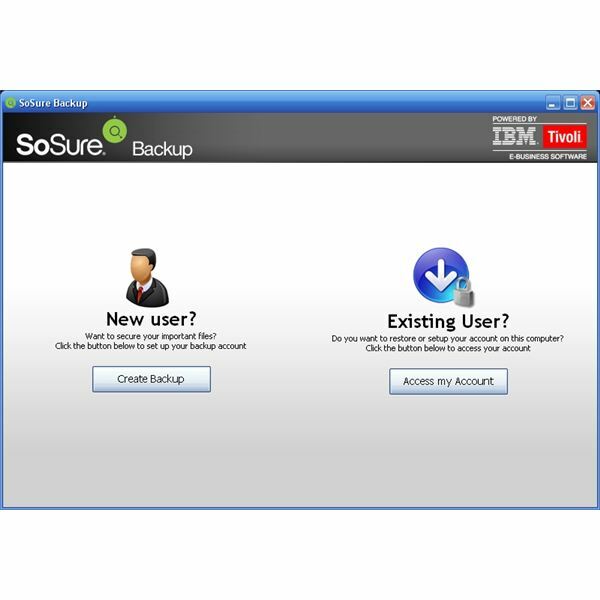 The teaming of SoSure and IBM is a winning combination if you're looking for a flexible, secure online backup solution. You can download the 30 day trial here and see for yourself! Should you be debating whether an online backup service or an in-house solution is the better option, be sure to check out our article Online vs Offline Data Backup and our review of Acronis True Image. Would you like to read more reviews? Look around Bright Hub and you’ll find detailed reviews of numerous other anti-virus solutions including Ad-Aware Pro, a-squared, AVG Free, Avast! Free, Norton Internet Security, Kaspersky Internet Security, ESET Smart Security, McAfee Total Protection, Blink Professional and ZoneAlarm Internet Security Suite.